the sun shines again on the college grounds the editorial cell proudly presents the second edition of SIMS EXPRESS. grossing movies. What took off was a new era of marketing campaign- Viral campaign. Viral marketing is the latest buzzword that has entered into a list of marketing strategies. Be it a video uploaded on YouTube, Facebook or by Word of Mouth, if done right can create a big impact at a low cost. The key is sending across the right message, through the right medium at the right time. Social media has shrunk the distance between people and products. Thus marketers utilize this space to spread the marketing message. A viral marketing campaign is unique and cannot be simulated again. A marketing message should be out of the box and should be sent across in a way that people are hooked on to it. So the next question arises, I have my content but how do I make it viral? 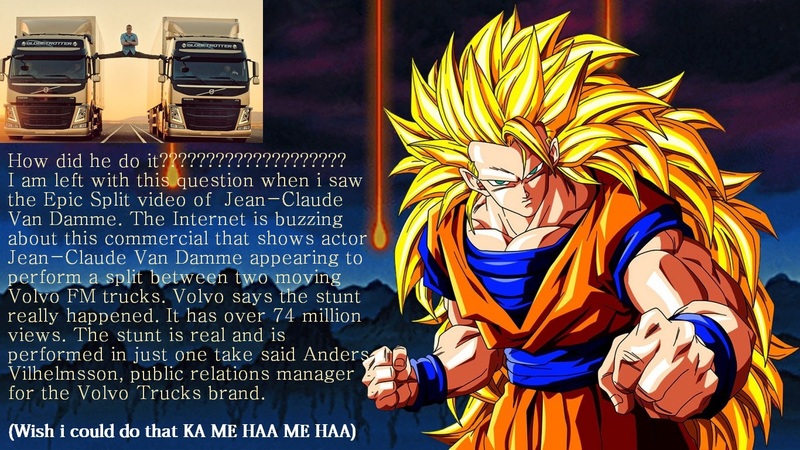 The answer could be as simple as posting it on social media but every post does not have the potential to become viral. For a campaign to be viral it should be easy for people to share and view updates easily. People tend to go by reviews and we ourselves recommend movies, restaurants, brands to our friends and relatives. Word of mouth advertising is powerful tool for a marketer. There are companies which have strived, although they did not make any cutting edge advertisements to promote their brand. Tantra T-shirts is one such brand that has attracted the young crowd and yet one doesn’t see any “kickass hoardings” of Tantra. Rajiv Ramchandani, founder Tantra, says that it is the desi-cool quirkiness what gets Tantra talked about. It is internet and social media that influences the growth of word of mouth and it cannot be ignored. Viral marketing campaign is a powerful advertising tool but there have been cases where in the campaigns have gone terribly wrong and have had a negative impact on the brand. In 2013 Hyundai’s ad depicted a man taping a hose pipe to the exhaust of his car in a suicide attempt only to survive, thanks to the clean emissions technology in the Hyundai iX35 car. 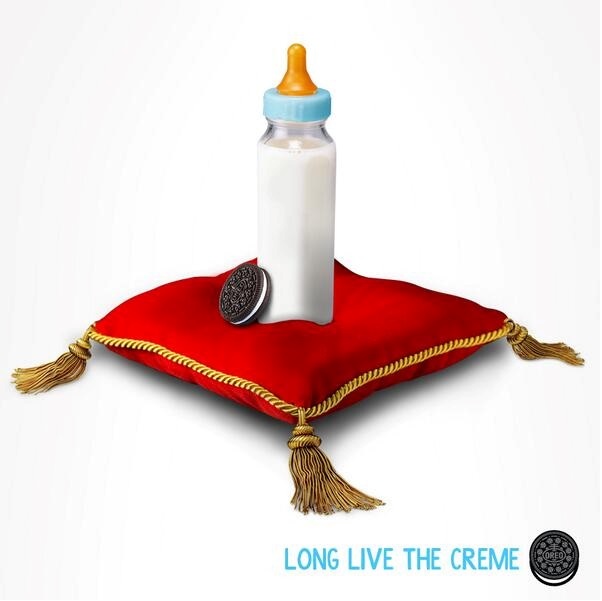 This immediately led to a heated backlash against the brand on social media. Creating a controversial ad may seem as an interesting proposition to attract people is a high risk and may not go as planned. Viral marketing is an easy and cost effective way to spread awareness about your product, promote brand and reach many prospective customers. Going forward this is going to be one of the most promising and used medium of marketing. Social Media Manager- Who is he? We have evolved from developing and establishing a business to spreading the business all over the world. Physically expanding the business in potential markets has an inverse impact on the company’s bottom line, whereas, through social media companies and entrepreneurs can easily expand the reach of content and attract potential customers without really affecting the bottom line. Now companies are concentrating on strengthening their online presence since return on investment is more than 60% compared to physically setting up businesses in different markets. Social Media manager, the designation has various roles associated with it. He has work on creating relevant content, should be efficient in his marketing and analytical skills, always up to date with latest happenings all around the world such that he can analyze how the market is going toimpact his business and how best he can leverage it in his favor. He needs to effectively communicate and give positive response to both satisfied and dissatisfied customers. At the same time he needs to constantly engage with different organizations in order to make a new trend instead of following one. In short he is required to create an attractive image of the company to a potential customer sitting in other part of the world. 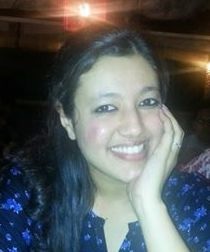 In India both, the well-established and upcoming firms have understood the importance of social media and therefore are offering roles with job description such as development of social media strategies, editorial calendars and tactical plans, including execution and management of the brand’s stratagems across different social medium such as Facebook, Twitter, YouTube, Pinterest, Google+, Myspace and LinkedIn. Himani Yadav: The chicken wanted to see if the grass is greener on the other side of the road,even though it does not eat grass. So basically the chicken was so jobless that it thought of crossing the road. crossed the road to look for that Unknown. So that in coming future, that chicken can equip herself to cope up with The Theory of Evolution in a better way. 1. Johnson & Johnson: This double photo went viral because it was posted on twitter just before the announcement of the baby’s birth which led to the belief that J & J had insider knowledge of the birth and the whole of social media started sharing this with their friends who in turn shared with theirs. While basically people were sharing the congratulations message they also subtly projected J&J’s baby products range. The U.S. Company cleverly used the foam of their products in the shape of a crown. 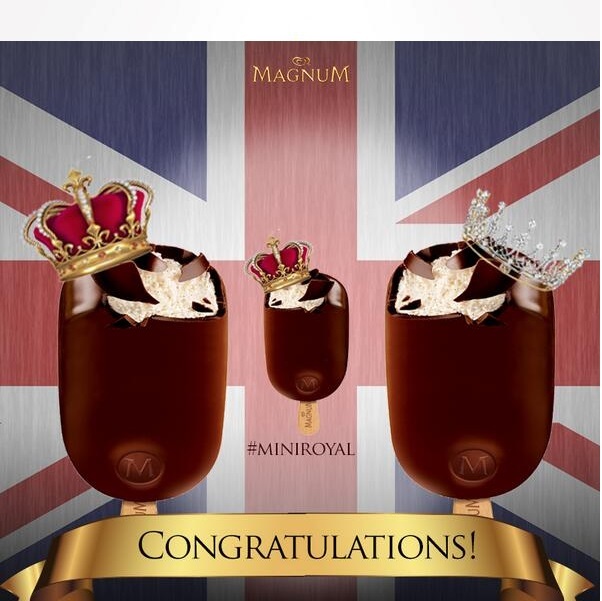 the proud “Royal-Magnums”. The picture depicts their most sold ice-cream – Chocobar, like a picture of the royal family which creates an impression in the consumer’s mind of the ice cream being as royal as the family and the family as popular as the ice-cream. 4. Charmin(P&G Brand): “Get the throne ready! 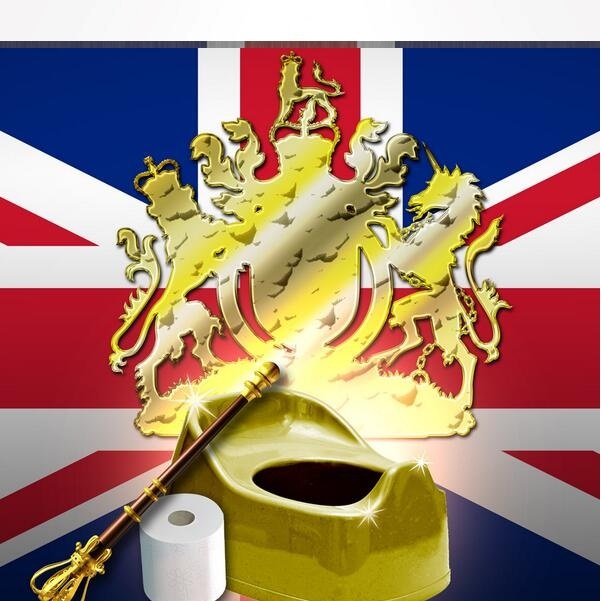 There’s a new cub in the Royal family.” This was the cheesy play of words which Charmin, a P&G acquired company, made to tie the news of the arrival of the prince, to its toilet roll brand. against cancer. The ideology behind it was to go viral in supporting this very cause. The Director flagged off the event by pouring a bucket of ice water on Samrat Kaushik and Siddharth Kothari of the senior batch. The event was welcomed enthusiastically by the student managers and everybody contributed generously for the same. The total reach of the SIMS Facebook page leaped to 17700 which is an increase by 789.5% from the previous week. This was possible only because the videos were being uploaded simultaneously and the three who were nominated by the participant, were tagged along with it. Everyone ‘liked’ and ‘shared’ their videos on Facebook, which was also a major cause for it to go viral. The event is still going viral as people outside our college have started to take up this challenge. Rightly said by an alumni, Rahul Yadav: “It’s time to shift focus to cancer and support the “Yoddhas”. 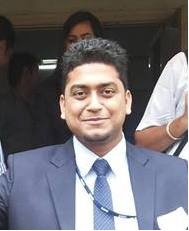 Dhanourkar elaborated on how the culture, a way of life is reflected in Indian HR policies. Strategem being the third part, theme “The Responsible Financier – India & Abroad” was to inculcate the sense of responsibility among the student managers such that such epidemics can be avoided in future. Eminent Speakers such as Smriti Vijay (CFO & Director, Aker Solutions), Seshasayee Shankaranarayanan (VP, Credit Suisse) and Ajay Kumar Asati (Associate Dir- Research Analytics, Crisil) gave a detailed insight on the topic and shared their experiences. The last and final part being Womancipation themed on “Reviving career after a life transition phase” we had eminent woman dignitaries Shikha Kochar (Hindustan times) being the moderator of the discussion that how woman is the one who balances both work and domestic responsibilities no matter what transitions are happening in her life. The student managers were able to grab a lot of information from the ocean of knowledge these personals of importance possessed. 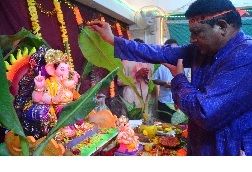 Ganesh Chaturthi Towards the end of the month the student managers welcomed Ganesh, the lord of prosperity and celebrated Ganesh Chaturthi echoing the campus with the roars of “Ganpati Bappa Morya”. Enduring the hardships to beat the odds, a theme schematic of the perseverance of everyday life, synonymous to working hard to achieve our goals! It is a literacy unit based on the ideas of diligence, hard work and finding solutions for our problems and building a supportive community based on acceptance and friendship. In this issue of ‘SIMS Express’, we take you through a journey of unending endeavour and consistent hard work starting with ‘A Rocky Road to Recovery’, guiding you through a flight of recovery out of the worrying market and economic crisis impending us. Freedom is in the air. The sky is just waiting to be coloured with the beautiful saffron and green and in the midst of all this we bring this month’s edition in its true spirit: “Freedom”. After the roaring success of last month’s “Pandemonium” we continue in our pursuit of enlightenment. “Happiness Machines” is an eye opener about the way advertising today fuels the wants of the Consumer. “Peer group approval – interviews redefined” elaborates about the inclusion of relaxed interviews by peers. “Illusion of Freedom” gives the pre and post orientation comparison of “freedom” as perceived by the student managers. “Gandhi, the Manager” presents an interesting take on how Mahatma Gandhi is probably the best manager our country could ever have. Starting from this month we are introducing “The Month That Was” which briefly muses over the happenings of the previous month with a whiff of nostalgia. This issue covers the 360° talk by renowned nuclear scientist Dr. Anil Kakodkar, the enlightening insights shared by Mr. John Clark, MD, Credit Suisse, the funfilled ice breaking event between the senior and junior batch, the blood donation drive conducted by Pranay, and “Vichaar” the first Annual Inter Division Debate competition. With the ushering in of the new faces of Batch 2013-15, the undercurrent in the air has been that of chaos. Right from the madness of Orientation, to adjusting to the crazy schedules, to swimming through the quagmire of assignments, to navigating through the storm of selection processes for various Cells; the first month at SIMS has whizzed past like a blur for the junior batch. Hence, it is befitting to dedicate this month’s newsletter to “Pandemonium”. In this edition, “The Managers of Bedlam” discusses at length the role of Big Data Analytics in comprehending the challenges of an organization and aiding to proactive decision making. “The Game of Theories” presents an interesting take on how speculations and strategy shaped the outcome of the Junior Cell inductions. “Are you a Micro Manager?” sheds light on the intrinsic managerial qualities that are harmful to any organization’s growth. The seniors shared their views on “Love Marriage vs. Arranged Marriage” for the Vox Pop, and finally, the rumor mill is all set to set things straight about some spooky buzz around the campus.